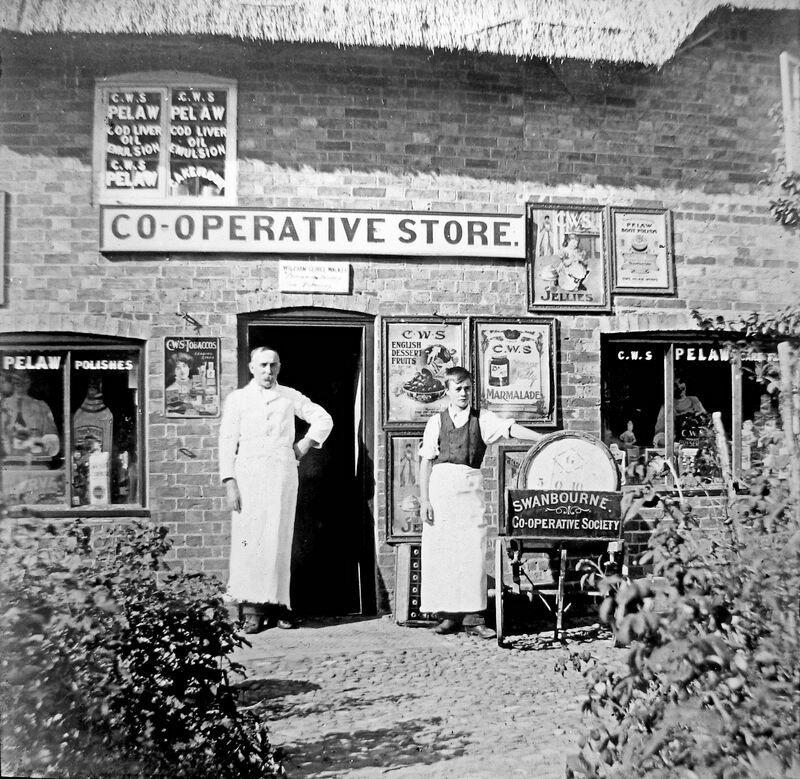 The shop in Nearton End (1908) where Mrs Taylor would give credit when others would not. Reading 1994, P.103. 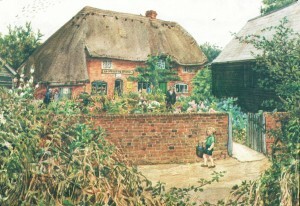 The Co-operative Stores 1940 from a painting by Miss Florence Fremantle. 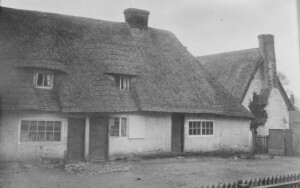 The Old Barn (now converted to a dwelling) is to the right of the picture. The Co-operative Stores in 1910 (Right). After becoming infested with rats within the thatch, the building was pulled down after World War 2.